At Fine Dentistry, you’ll enjoy the latest level of dental care in elegant surroundings with easy and convenient access. 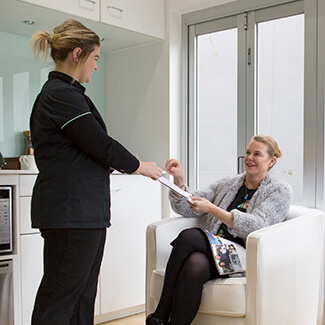 With a lovely lounge in which to relax and friendly, welcoming staff, you’ll be surprised how pleasant a trip to the dentist can be. Dr Sharma and Dr Shaw firmly believe in establishing good rapport from the very start. You can expect a friendly greeting followed by a general check up. 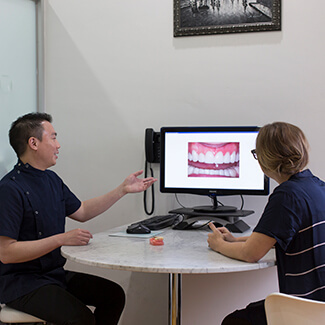 After our Dentists have completed your check, they will explain your treatment plan and what needs to happen next. Fine Dentistry has all the modern conveniences including television on the ceiling for your viewing pleasure or if you’d rather, radio and music are available. For patients who might feel nervous, we believe communication is key. 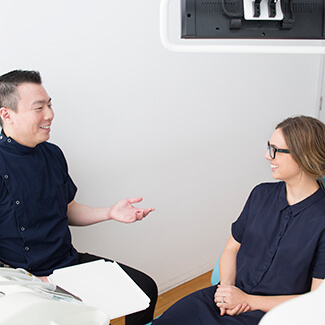 Our Dentists will work hard to ensure you know what’s happening at all times, checking if you’re okay and making conversation to keep the atmosphere light and you comfortable. Fine Dentistry has you covered in terms of payment plans and options. We are a preferred provider for NIB which ensures fixed fees for patients with or without health insurance. We also partner with and Smile (smile.com.au) and honour Australian Unity and Defence Health’s fixed fees. 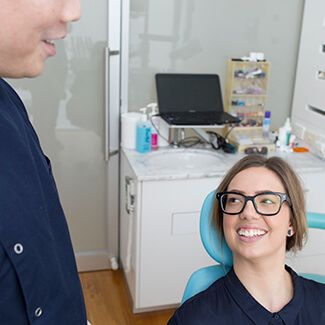 With the HCF More for Teeth program, any check up, clean, X-rays and preventative items are usually gap-free, meaning you aren’t out of pocket. With our HICAPS and EFTPOS facilities, there’s no need for any money to exchange hands. We also accept American Express. Payment Plans are also available via Denti Care for smaller amounts and MAC Credit for larger, more complicated procedures. Contact us today to get started!